Sprint has started rolling out a new update to Samsung Galaxy S5 units on its network. 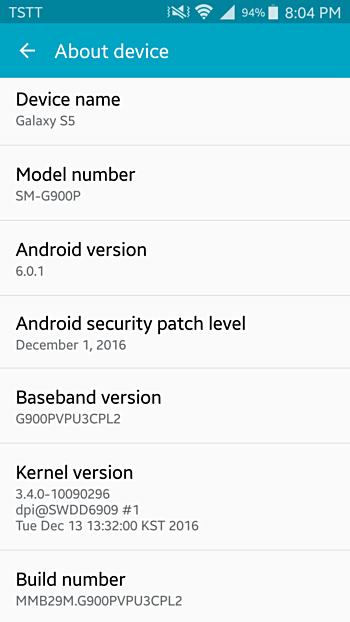 Arriving as build version G900PVPU3CPL2 and weighing in at around 237MB, the update includes Android security fixes for the month of December. The carrier is yet to update the Galaxy S5 software update page on its website, so it’s currently difficult to say what else (if at all) is included in the update, although going by its size, it’d be reasonable to say that some other improvements and usual bug fixes are included as well.